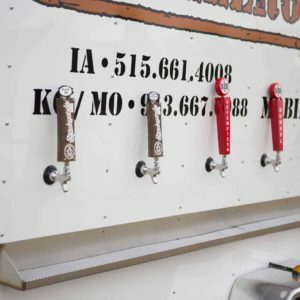 Our KC draft beer trailers for rent was designed from the ground up with the Vendor & Caterer in mind! 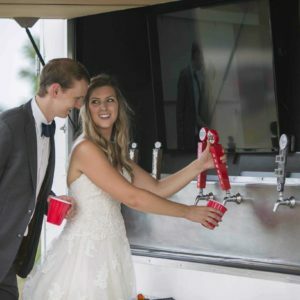 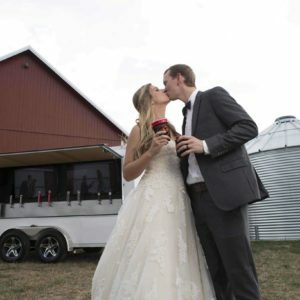 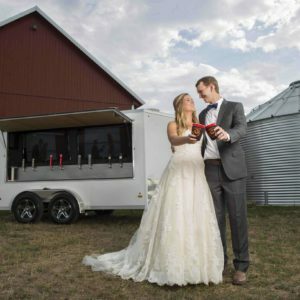 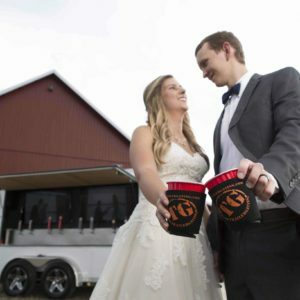 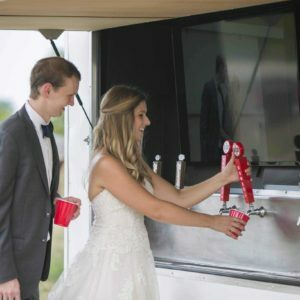 Our refrigerated KC draft trailer can keep food cold before the reception, keep your wedding cake from melting, and serves more than just beer! 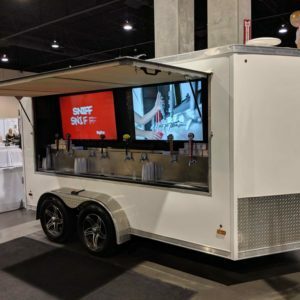 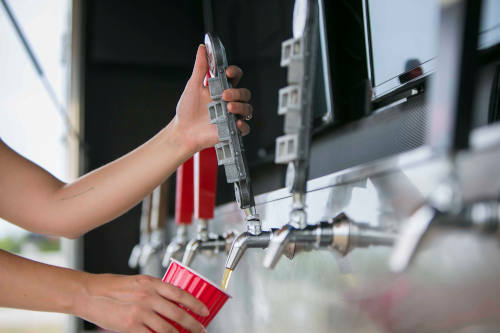 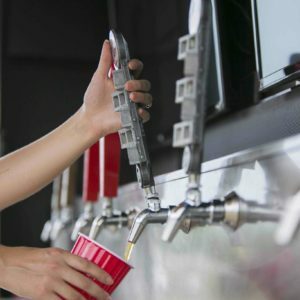 Kansas City’s only draft trailers for rent is equipped with 6 or 8 faucets to serve different beverages, or keep all the glasses full with a few select drinks. 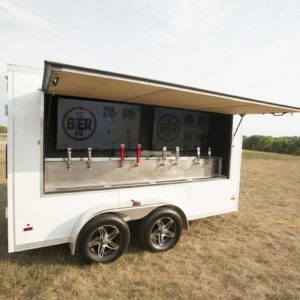 The draft trailer will hold up to 20 “half barrel” kegs (full-size keg) and keep them chilled, ready to serve! 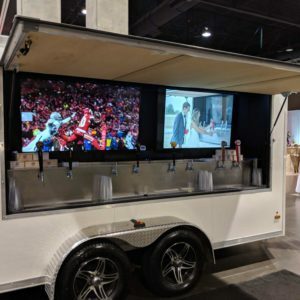 Two 55” TVs are also available on the 8 tap trailer. 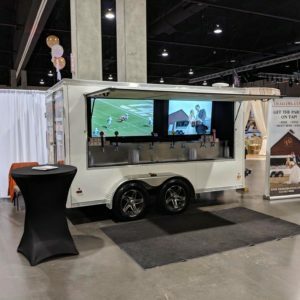 Play your video or photo montage, watch professional sports, display a menu or even a greeting for your guests! 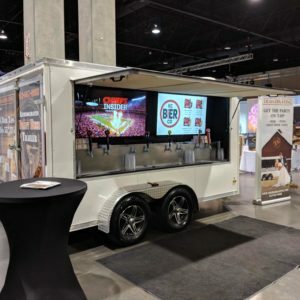 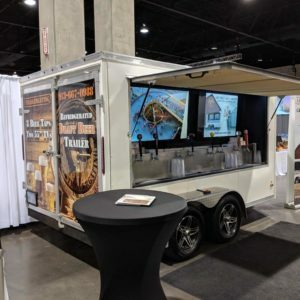 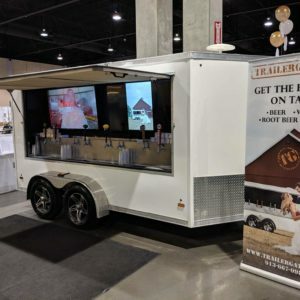 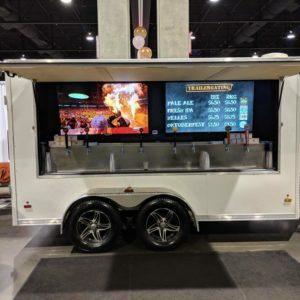 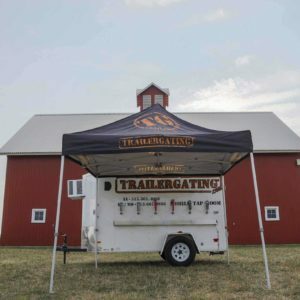 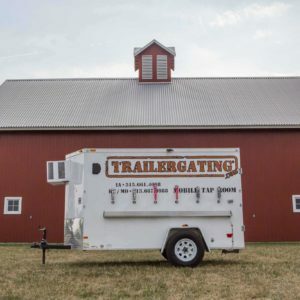 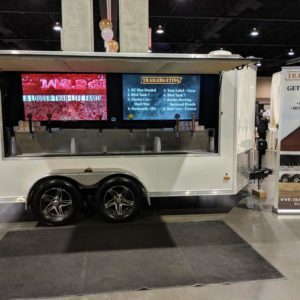 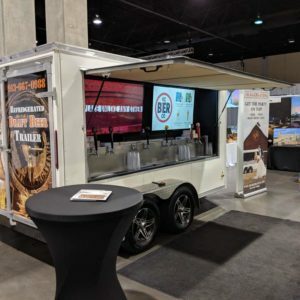 Customized Branding- There are strategically placed “D-ring” tie downs on the exterior of the draft trailer just for Custom Banners to be hung tightly presenting a clean, professional customized brand on the refrigerated beer trailer ( Banner size 8.5′ x 2.25′). 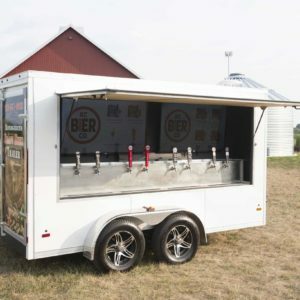 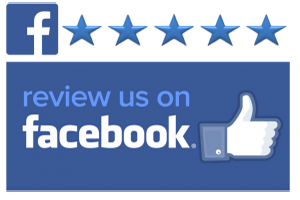 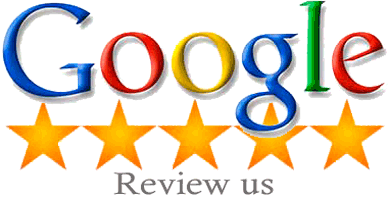 We want our caterers and clients to brand the mobile taproom as a service of their own. 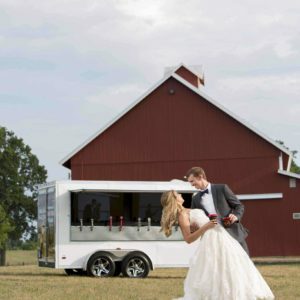 You and your guests will love our KC Draft Trailers!